Rodolfo Zuniga was born in San Jose, Costa Rica. He started playing drums. At the age of 15 years old. He quickly started working professionally and earned a full scholarship to study jazz at Florida International University. He moved to Miami, in 1999 where had the opportunity to play and record with the school’s top ensembles. He traveled and played festivals with the FIU Big Band backing up guest artists as Kevin Mahogany, Arturo Sandoval, Nestor Torres, Paquito D, Rivera and Sam Rivers. He graduated with honors in the year 2003. In 2004, he was awarded a teaching assistantship to pursue his Master’s Degree at Florida International University. He again graduated top in his class in the year 2005. Rodolfo currently is one of the most in demand jazz drummers and educators in Florida. He recorded on Grammy nominated album called “Journey to the Heiros Gamos” by the Darryl Tookes Band. He was awarded a residency as the leader of the Rodolfo Zuniga Quintet at Carnegie Hall in 2005, he toured as a member of the prestigious Betty Carter Jazz Ahead group of 2005, has has performed with artists such as Benny Golson, Dr.Billy Taylor, Robin Eubanks, John Fedchock, Shelly Berg, Jonathan Kreisberg, Fred Wesley, Slide Hampton, Othello Molineaux, Darryl Tookes, Ira Sullivan, Sammy Figueroa, Gary Campbell, Melton Mustafah, Silvano Monasterios, Allan Harris, Felipe Lamoglia, Arturo Sandoval and Martin Bejerano to name a few. He has done clinics and concerts at the University of Florida, University of Costa Rica, University of Minnesota, Northwestern University, New World School of the Arts, The Kennedy Center and University of Miami. 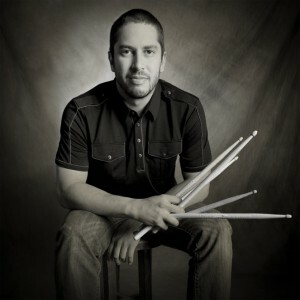 Currently he is an adjunct professor teaching Jazz Percussion and Jazz History at Florida International University, Miami-Dade Community College, Broward College and New World School of the Arts.